With finals coming up for my fellow college students, or final exams for any high schoolers out there, studying is becoming a must. Some prefer studying in silence, some prefer the coffee shop atmosphere, but I personally cannot study without music playing. I don't listen to the Top 40 lists or vulgar rap whilst trying to prepare for an exam. Instead, I listen to more relaxing music, preferably with words not in English or with no words at all (to keep me from singing along). 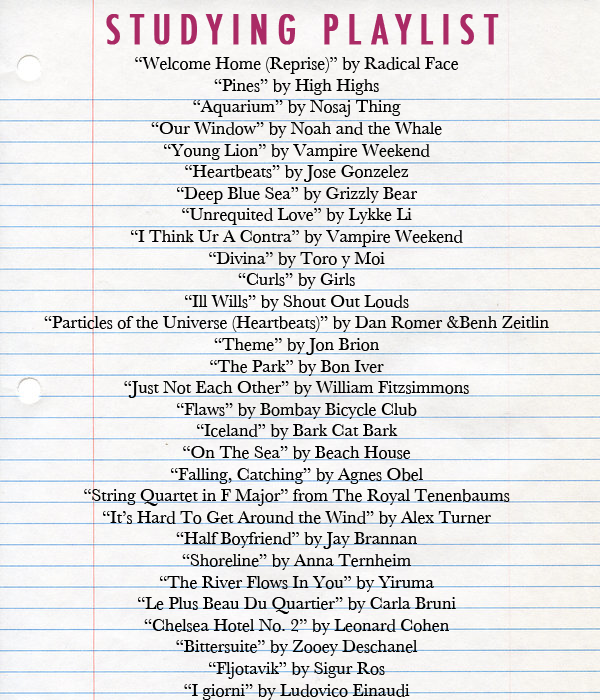 If you are like me and need some background music while you're studying your little heart out, I've made a playlist for you to listen to while you read your textbook or rewrite your notes. studying from francescahoy on 8tracks Radio.